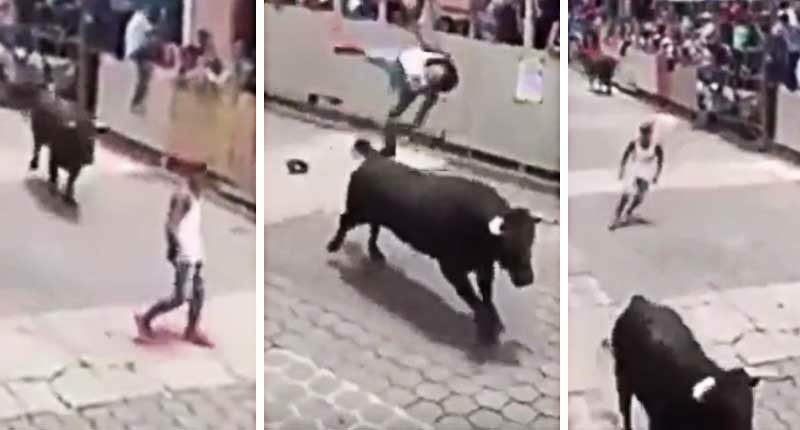 Shocking moment as giant bull flips young man 10ft into the air in Mexico, He was watching the annual festival where bulls run through streets of Mexico, similarly to streets of Spain. But this guy was unlucky as taunts a bull, who narrowly passed by him on the street of Xico, Mexico, it was too late for him to see the second bull racing toward him. In a flick of second 60-stone bull, coming from his back flipped him 10ft into the air, as the shocking onlooker, tried to shoo away the returning bull, but that didn’t work and bull just mauled the guy who is believed to be in hi early 20s. 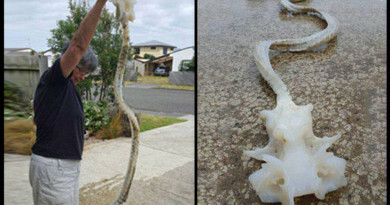 I just don’t get it why humans behave like this, you humans can definitely learn a lesson or two from a ghost like me.